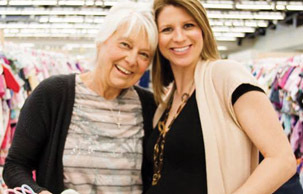 Every sale, our generous consignors donate thousands of items to local foster families through our charity partner. Please consider checking the "donate" box when making your tags-- It does a TON of good for TONS of kids around the Portland metro area. Team Leaders Judy Gerton and Tanya Hamell handle all of your donated items through their wonderful work at Beautiful Savior Lutheran Church. Foster families in need of clothing throughout the Portland metropolitan area will be helped with your donations. Non-clothing items are distributed to foster parents at the Clackamas Service Center where they are given to residents who qualify for assistance.